These days, homeschooling is the trend for the busy moms and for those who wanted their child to start learning at home. At first, I was at Montessori thingy and I follow Mars Medina of Montessori on Mars who is absolutely a must follow for those who are homeschooling or about to homeschool their child. She's keen on every detail with teaching her daughter Kara. But to my dismay, I was on a tight budget that I can't follow her kind of activities. Homeschool was really one thing I like, but to you frankly, it wasn't easy. It will require much effort and knowledge on how to incorporate every learning and every activity with your child. I happen to learn also that Isobelle was into visual type of homeschooling since she's fond of watching educational videos in which I incorporate most of our activities. I was limited with the things to use but I also want to minimize the clutter that is why I don't usually print a bunch of worksheets. Sometimes, I tend to do worksheets in laptop and ask Isobelle. That way, we save a lot of paper and effort too. Sometimes, she's cooperating but most of the time she have her own pace on doing so. Today, I will show you one thing I do with Isobelle's mini flashcards. 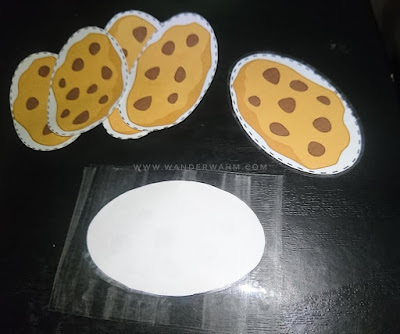 I learned this technique from a friend when we ran out of stickers and he chose to teach me on how to save more instead of printing sticker labels for my mom's mini business. 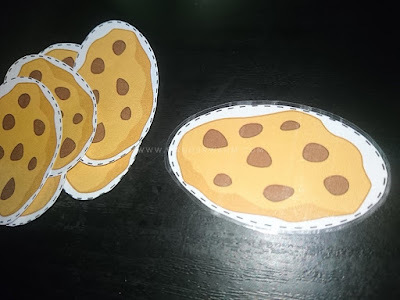 I just need print out on normal paper then I have to do the DIY soft laminating technique with it. So, since the goal is to have more but also save much money in it, I used it also with my homeschooling activities for Isobelle. Here, I saw a printable Cookie Jar Number Matching. There are two pages for this activity. First page is the cookie jar, and the other one are the cookie cut outs to match the numbers inside the cookie jr. I need to have the cookies soft laminated so that Isobelle won't easily tear them off. She's fond of tearing paper these days. Whenever she sees receipts on top of table or drawers, she will tear it off into bits. 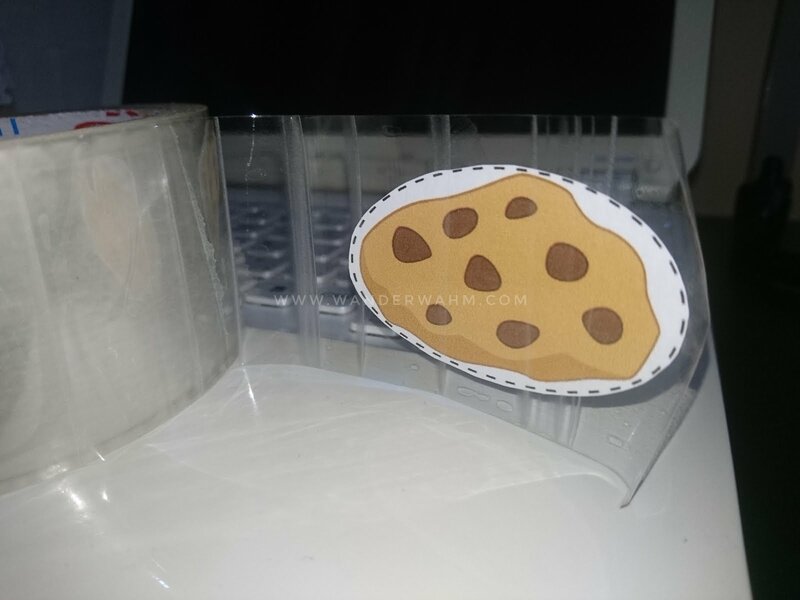 I cut out the cookies one by one and attach it to a scotch tape in big size. 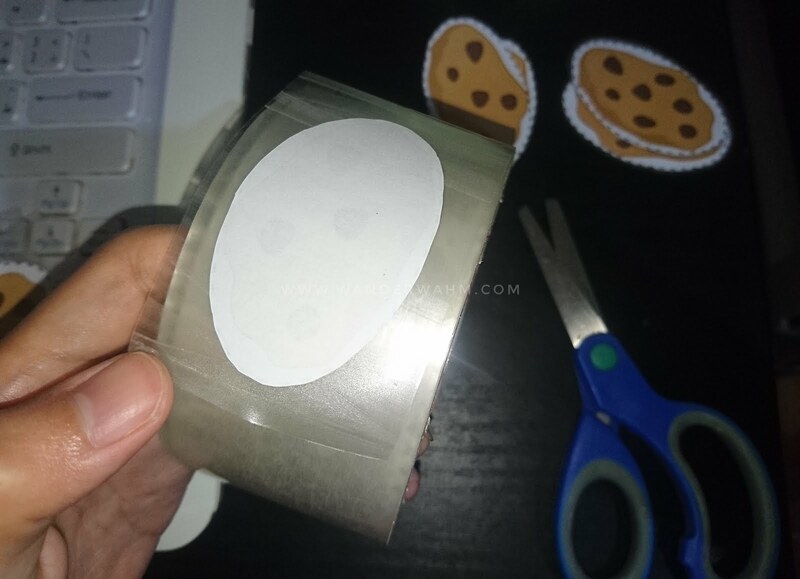 This is the easy to do it, you peel off the tape and flip it so the sticky part is turned to you then simply put the cutout. Since the scotch tape is wide enough to fully cover the cut out, I just rolled it again for the other side to be covered with scotch tape. If the cut out you have is bigger than the scotch tape and in regular shape like square or not in free form, what I do is just roll it until it is fully covered with tape. By the way, the big scotch tape was only Php25.00 that I bought at a local store and not in SM or National Bookstore. It is much cheaper to buy craft materials there. I also scored some big round pots for Php20.00 instead of paying Php60 at a local grocery. I cut the tape with allotted space on corners so it won't be easily torn. 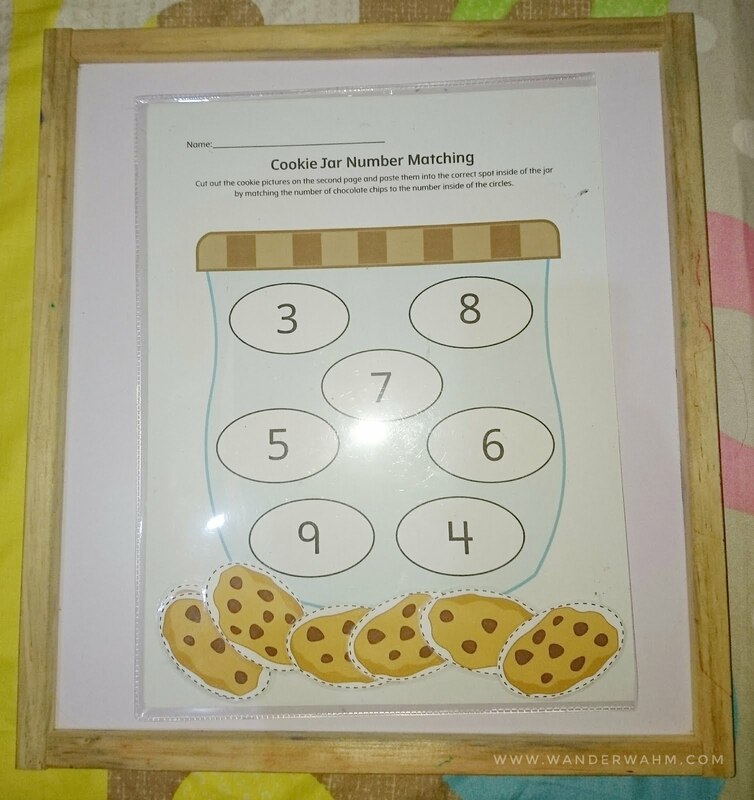 And that's it, you now how a soft laminated cookie cut outs ready for the Cookie Jar Number Matching activity. Hi sis, thank you for this tip. We are also a homeschooling family. 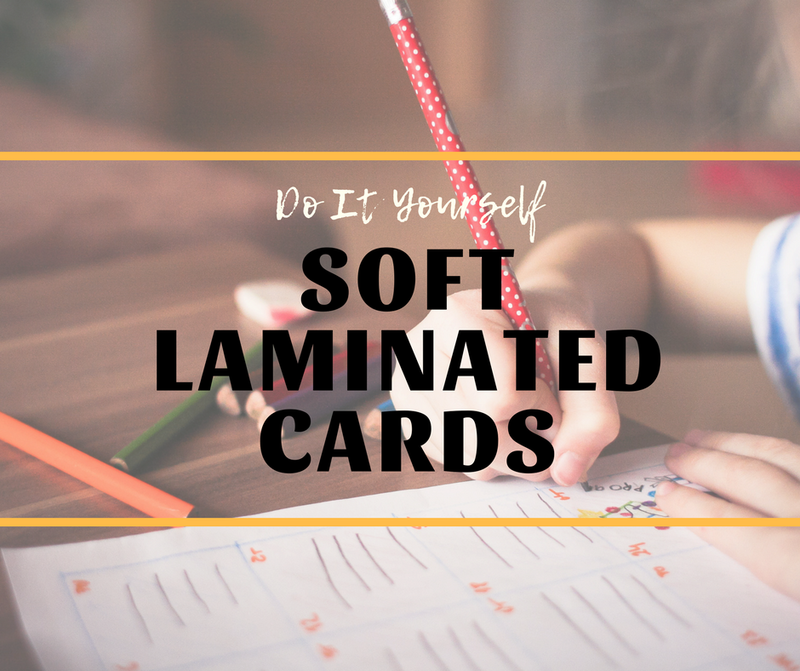 Will try this DIY laminated cards when we get a chance. This is a great idea and so easy to do! Thanks for sharing this tip. 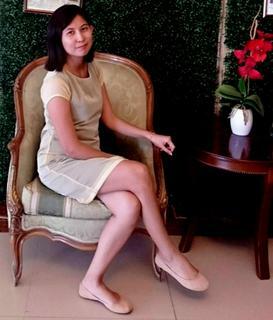 Hi, Mommy Rubie! Thanks for reminding me. We used to do this when we were in college as an Educ student and now that I have a child I have forgotten this simple yet practical tip. Anyway, if you have time, you may also check how I teach early literacy skills to my child. 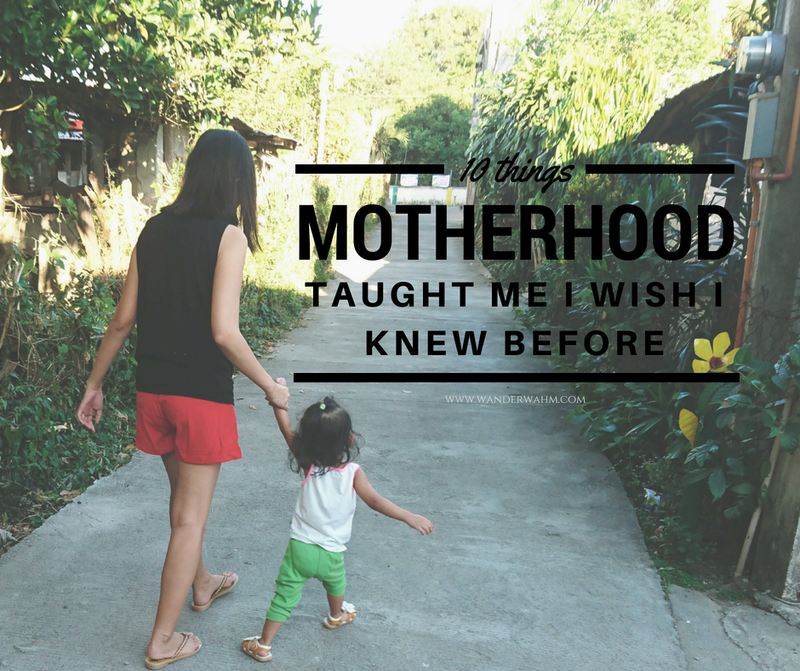 My FB, IG, and Blog's name is Richly Inspired Mom. Wow, I didn't know that this tip seems to be really well known even before. Sure thing, I will visit your blog too!